Electrical inspection testing is a detailed, in-depth and methodical testing and inspection of your electrical wiring, joints, quality of wiring insulation and conductors and other electrical equipment such as electric control panels, breaker box, and the suitability of electrical panels installed in a building, home, or office. As owners of a property, you will periodically need to arrange Peoria Electrical inspections as safety measures to avoid hazards that might lead to mishaps and property losses. Your Peoria Electricians have a fully competent and professional team of mechanical and electrical engineers and experts who are trained with the latest updates on fire safety regulations. Electricity can be extremely dangerous for you if your electric panel is not working as it should be. Once the electrical panel of your property is checked and made safe, you will be issued a certificate stating the same. If you do not get regular Peoria Electrical Inspections done on your property, you and your acquaintances will be at a risk of lethal shocks. 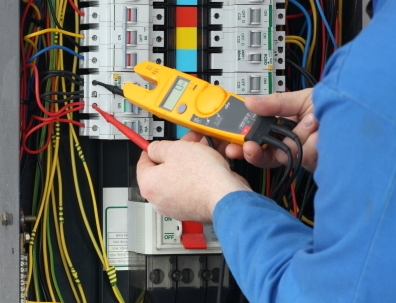 Your Peoria Electricians are here to test and inspect the electrical panel on your property carefully with their Non-destructive inspection procedures and equipment to provide cost-effective, expert and hassle-free solutions. We can also spot potential problems early on and ensure you remain open to suggestions on how to fix those problems. Thus helping businesses reduce costly operational downtime. The benefit of consistent pricing and local accountability makes us a number one choice for most people in the Arizona region. With the safety regulations getting more stringent and demanding, it is vital you ensure that your electrical installations are proper. No matter what the size of your property, we have tailor electrical testing and inspection services to fit the need of every client. We offer first class service to each client no matter how big or how small. Spotting common electrical mistakes made by previous homeowners or contractors.